You know that constant foot traffic, pet accidents, children, stains and odors can make a once beautiful area rug look shabby and smell unpleasant. 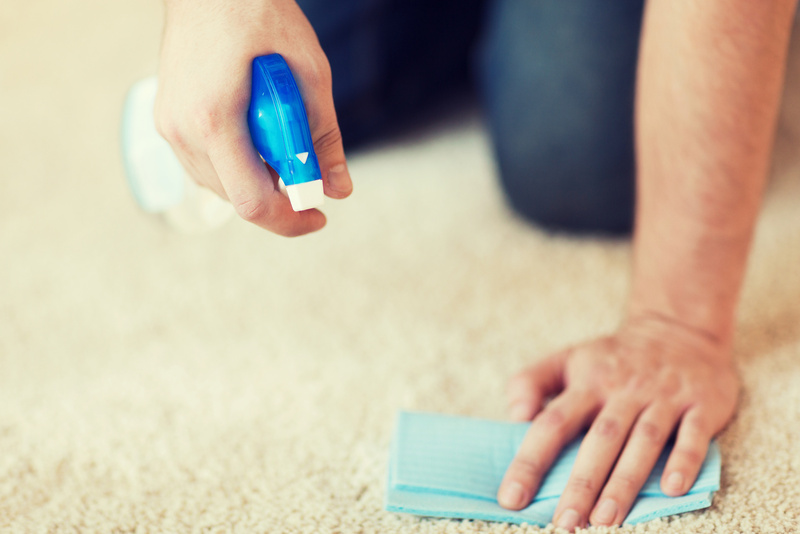 While routine vacuuming can get the job done for a short period of time, a deep cleaning is the only thing that can restore your area rug back to its former beauty. If you are seeking solutions to improve the look and cleanliness of your home in Miamisburg, Flooring N Beyond is here to provide the services you need at prices you can afford. Done with your convenience and budget in mind, our discount area rug cleaning service makes it easy to have your home looking and smelling fresher in no time. See how this wonderful service can change your home for the better. You can extend the lifespan of your area rug by routinely removing embedded stains, abrasive debris like dirt or dust, and foul odors caused by cooking, smoking, or pets. You can improve the look of your home by restoring the brightness and original texture of your area rug. You can reduce discomfort caused by allergens that increase the likelihood of illness, sneezing, respiratory irritation, and itchy eyes, nose, and throat. You can ensure that the quality of your area rug is preserved by allowing professionals to examine its condition and use specialized products to suit your floor coverings’ individual needs. You can save money by cleaning your area rugs rather than allowing them to wear through or become stained beyond repair, eliminating the need to replace them more often. Everyone has a different budget. No matter what your ideal price point may be, our team works with you to get the best bang for your buck every time. Accurate estimations and easy-to-schedule consultations mean that you get no unpleasant surprises or unexpected billing. You can plan your area rug cleaning from start to finish with help from our friendly experts, who will assess the state of your area rugs and make honest suggestions for the best way to care for them. Finding a local service means that you can not only see that our prices are better than those of our competitors, but that you can find help for your home fast. Easy, affordable, and quick! Is certified to clean area rugs. Don’t put your faith in amateur methods; know that the methods being used to clean your area rugs are tailored based on a personal inspection performed by experts. Is committed to your satisfaction. Like friendly neighbors, you can trust our technicians to perform the job with your best interest at heart and to your specifications. They will provide you tips on how to best care for your newly cleaned area rugs, answer questions and respect your home for the duration of the process. Is both licensed to work in and experienced. You don’t want just anyone caring for your area rugs--you want the very best in the business. Our team is handpicked to only feature those with the most experience and knowledge in the field, ensuring that the job will be completed correctly. Will assess your area rugs’ needs before cleaning. Your area rug has a variety of factors to consider, from the material it is made of, whether it was manufactured or handmade, the types and qualities of dyes used to color it, and any spots of notable wear and tear. We make sure that your area rug is cleaned with safe products and that worn spots aren’t made worse by carelessness. Will finish the job on your time. You’re busy; let us handle the hard work according to your schedule! Flexible scheduling and easy contact by phone or online make appointments for consultations and cleanings a cinch to set up. When you need professionals to care for and sanitize your floor coverings in Miamisburg, come straight to the best, Flooring N Beyond! For an estimate and more information on our products and services for the home, call us at (937) 866-4755 or go online to begin planning your next area rug cleaning! We have the experience and know how to repair all types of area rugs. Don't let just anyone repair your valuable rug. Leave it to us, the experts. We offer free rug repair quotes when you bring your area rug to our showroom. We have partnered with The Gfroerer Rug Company; One of the best rug cleaners in the world. With five generations of experience since 1890 who based their personal and business beliefs on hard work, quality workmanship and value. So next time you need your area rug cleaned or repaired don't settle on the rest come see the best.